Barber, I. (2017) “New Radiocarbon Ages Clarify Chronology of Waimea Plains Māori Settlement and Dry Agronomy, Northern Te Waipounamu”, Journal of Pacific Archaeology, 8(2), pp. 103-107. 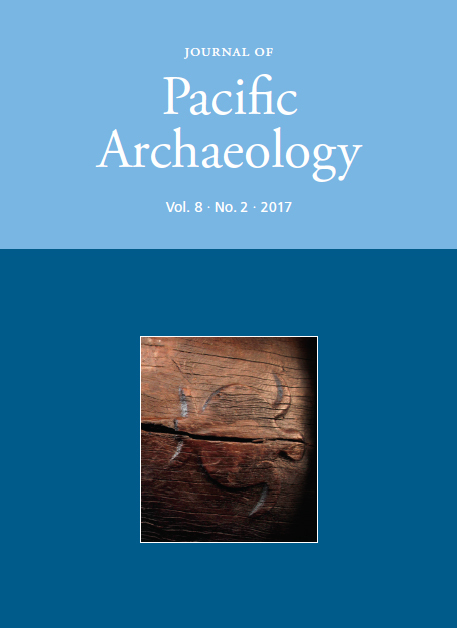 Available at: https://www.pacificarchaeology.org/index.php/journal/article/view/225 (Accessed: 22April2019).